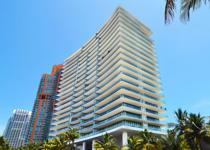 Apogee South Beach is more than a luxury condo, this is a place to call home and enjoy your life with your loved ones. This masterpiece in Miami was created exclusively for you, it was designed not only to impress but to inspire, just as art inspires the heart and mind to awaken to new and glorious possibilities. 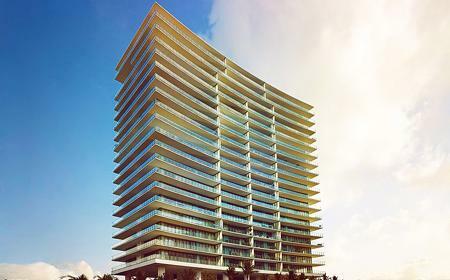 Exclusive 67 residences in a 22 story building. Lobbies and common areas designed by world famous interior designers Yabu Pushelberg. 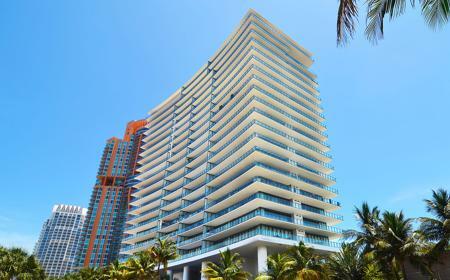 Architecture by award-winning architectural firm Sieger Suarez. Four residences per floor, each with flow-through design to give each unit both a water view and a city view. Building features premium "optically clear" glass on units and balconies for ultimate stylishness. 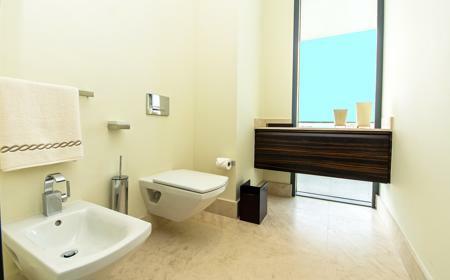 Very sophisticated, premium building finishes such as granite and French limestone. Lots of interesting detailing with stainless banding and back-lit Lucite. Private elevator access to every unit. Only two floor plans available: 3149 s.f. and 4227 s.f. 2.88 Acre Site. Each unit has a private, enclosed, air conditioned & oversized two car garage. State-of-the-Art AMX© Interactive smart panel with access to security, valet, spa and other building services. Lutron© wireless system with custom lighting schemes. Keyless fingerprint door entry. Ceilings are a 10-feet high. 11-foot wide terraces. 4' x 8' entry doors. Double-slabs are built between floors to reduce noise transmission. Balconies are a 11-feet deep with summer kitchens. Window glass is the purest and clearest available anywhere. Gas fireplace in master suite or living room. Kitchen with Appliances. Salvatore cabinetry with full height doors. Franke round bar sink and faucet. 27" SubZero refrigerator and freezer drawers. Advanced sound suppression. Sound deadening board between floors. Air conditioner units enclosed in concrete walls. Cast iron plumbing. Enhanced lighting. Exotic wood finished cabinets. Dishwashers: two for all kitchen models. Vanity style variations. Mirrored medicine cabinet. 30 x 30 stone floor and wall. His and hers showers, both with three body sprays and one of two bath and shower designs. Dornbracht MEM style bath and shower: cast in place concrete tub and walk-in shower, lighted "rain shower" shower heads, tub lights and MEM faucets, fittings and accessories or steam shower with custom shower enclosure and jetted tub options.